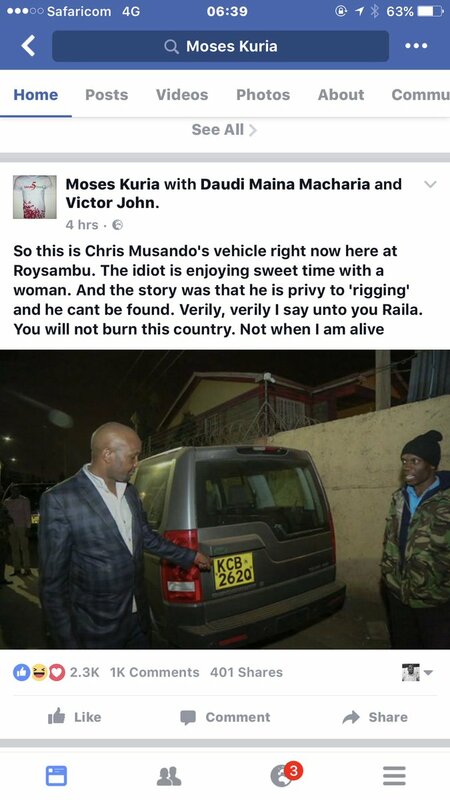 Saturday 29th Morning, Chris Musando was seen checking into a lodging in Roysambu with a lady whom one resident identified as a USIU student. 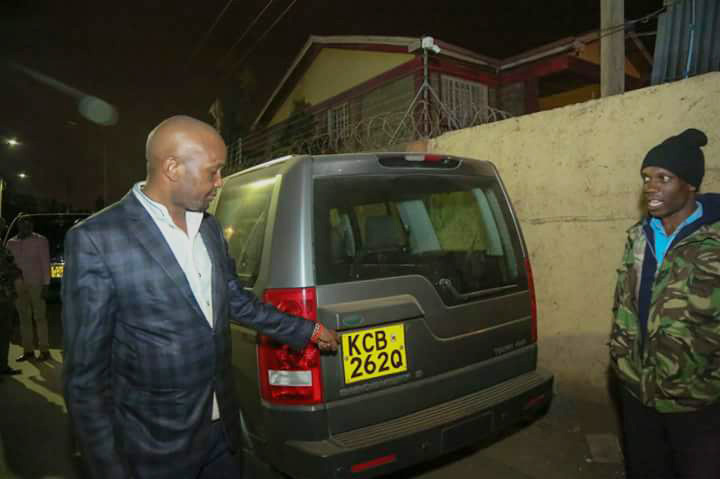 His car has been towed to Kasarani Police Station from Roysambu where he had parked before entering the lodge . Police boss Japhet Koome says search for him ongoing. Chris Musando has been missing since Friday when he left home for work. He reportedly called his wife at around 2am on Saturday morning that he was on the way home from drinking with some friends in town. 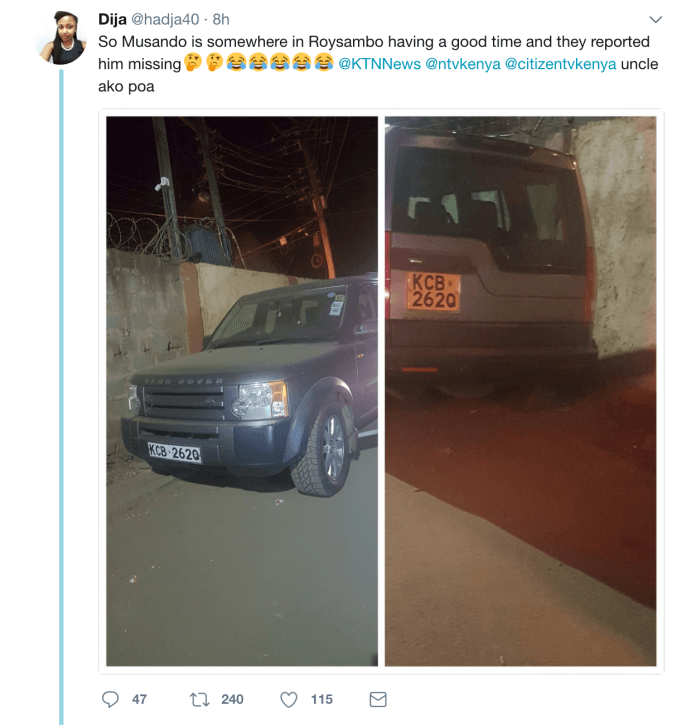 According to sources close to the police, Musando was spotted in a pub in town after which he drove along Mombasa road then took the Easter bypass. His car was later spotted that morning joining Thika Road at around the Ruiru junction. It took some time but the car was last flagged by the CCTV cameras around Nyayo House round about. Police is appealing for information on his whereabouts. Roysambu is a den of prostitutes and Nigerian drug peddlers hiding away from the police. IEBC ‘contracted’ Alex Kioni as an external IT security consultant.